Summary: When Baby Boo-Boo, a mouse dressed in a bunny suit, becomes lost in the forest, her mother follows the sound of her cries to locate her. First, let me apologize for not getting a PB 14:14 blog challenge post completed for yesterday, day twelve. I was suffering from a migraine and needed to rest. I’m going to try to make up for it today, day thirteen, by posting two picture book analyses. I’m going to start with Big Bad Bunny and the picture book element Pacing. 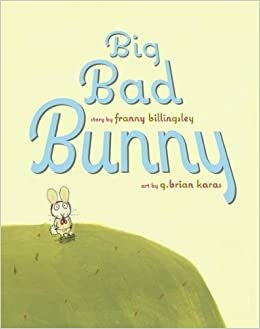 I like how this book goes back and forth between Big Bad Bunny (aka Baby Boo-Boo) and Mama Mouse. Then the focus shifts from Big Bad Bunny to Mama Mouse. We turn the page and it’s back to Big Bad Bunny on the left side of the spread, and then back to Mama Mouse on the right side of the spread. And so it continues through two more page turns, until Mama Mouse realizes that Baby Boo-Boo is missing and sets off to find her. Then, Mama Mouse appears on the left side of the spread and Big Bad Bunny appears on the right. That pace continues through three page turns until Mama Mouse finds her Baby Boo-Boo who just happens to be Big Bad Bunny. Then the two characters appear together through the ten remaining pages as they retrace their steps back to the Mouse House. 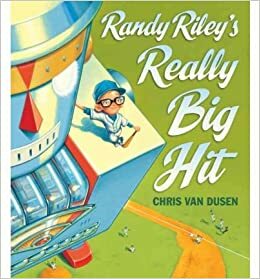 Summary: Randy Riley, a science genius who loves baseball but is not very good at it, needs to use both his interests to save his town from a giant fireball that is heading their way. He studied all the planets. on the rocket ships were built. and the light-years to the stars. to ride a bike on Mars? Randy’s eye was on the ball. No room for error now. Three-two-one and FLIP THE SWITCH! I’d love to give you more stanzas, but I really want you to read this book for yourself. You won’t be disappointed! Hi, Lauri! I love the lessons you shared for both of these books. I love seeing the years that books are published and which publisher took it on, along with word count. It opens our eyes to what else is out there. The first book, at a quick glance of the summary, would not have enticed me to buy it. But the lesson on pacing is great, so yes, it made sense. I agree it is hard to discuss pacing in a blog post, but it can be done, as you have shown us. I love how the Mama goes along kissing all her babies night-night, and then uh-oh, one is missing! Small children will LOVE it! The second book sounds like so much fun too. You are right. He is definitely a master rhymer. At first glance of the cover of the book, I wondered if it might have been a biography. What FUN fiction combining science and sports. Love it!!! Thanks, Lauri! See you tomorrow! Thanks, Christie, I’m glad you approve! And that my post made sense. The first one really is an excellent example for studying pacing. For the second one, I may go back in tonight and add some of the rhyming pairs. I meant to do that, but forgot. It is amazing too, just how many publishers are out there. I think I just now, with these two reviews, started to repeat publishers. your description of pacing put me in mind of a tennis match, so long as the ball stays up and bounces between rackets (in this case pages) back and forth then the pacing feels right until the ball is dropped or hits the net. Rhyme can be such fun too. Anyone who thinks that picture books are not complex works of literature has never written a good one. Ooh, a 700-word rhyming PB? I want! I’m really trying to work on rhyme these days (even though most agents won’t take it), and this looks like a great example. It sounds like he uses some really unique rhymes in there too. AND it’s about baseball – this may go on my “must buy” list. Thanks for pointing it out. The bunny one also sounds neat with the way the book is laid out. Thanks again for another great post. I’ve really enjoyed the last two weeks of learning about PBs with you.